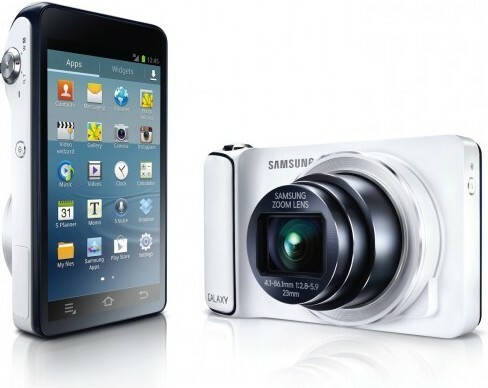 The Samsung Galaxy Camera has 16 MP BSI CMOS rear camera with 21x optical zoom and is capable of 1080p HD video capture. The Galaxy Camera features 4.8-inch HD Super Clear LCD capacitive touchscreen display with 720 x 1280 pixel resolutions and is powered by 1.4 GHz Quad-core Cortex-A9 processor with 400MP Mali graphics. It runs on Android 4.1 Jelly Bean OS and has 8GB of storage which can be expandable up to 32GB Via. microSD card. 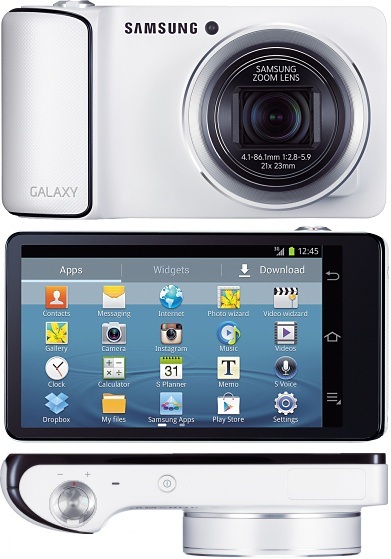 Connectivity options of Galaxy Camera includes Wi-Fi 802.11 a/b/g/n, dual-band, Wi-Fi hotspot, Bluetooth v4.0, microUSB v2.0 and GPS with A-GPS. Sensor options includes Accelerometer, gyro and compass. Color Options includes Black, White. Samsung Galaxy Camera comes with standard Li-Ion 1650mAh battery. It has a dimension of 128.7 x 70.8 x 19.1 mm and weighs 305gms. Currently no news about price and it will be availabile in Q4 2012. Tags:Samsung Galaxy Camera, Samsung Galaxy Camera features, Samsung Galaxy Camera specifications, Samsung Galaxy Camera review, Samsung Galaxy Camera details, Samsung Galaxy Camera availability, Samsung Galaxy Camera specs, Samsung Galaxy Camera images, Samsung Galaxy Camera pics, Samsung Galaxy Camera pictures, Samsung Galaxy Camera price.